If you’re using Facebook for your business that’s great. If not, you probably should be. In either case, there are some things you should know. 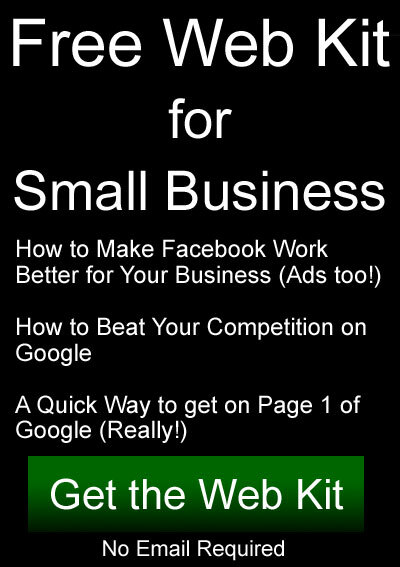 So here’s a Facebook for Business Tutorial that will help you get much more out of it and help you focus on the important points. Some types of businesses can benefit more than other types, but all types can probably get some benefit. The golden rule about using Facebook for business is to be fun, entertaining, or helpful. Or a combination of all of these things. And don’t sell. Make connections. Make friends. Build relationships. To use Facebook for your business you’ll need a Facebook Page. You’ll also need a Facebook Ads Account if you are willing to run ads. You probably won’t get far if you don’t run ads. Most people know what a Facebook Page is. It’s a special website page within Facebook that is about your business. You can think of it like a business listing in a directory. There are many online directories including the Google Maps business directory, Yellow Pages, Yelp, etc. So you can think of your Facebook Page as a business listing in Facebook’s online business directory. To create your Facebook page go to https://www.facebook.com/pages. The process of creating a Facebook Page involves typing in your business information and uploading some business pictures. You won’t need to spend much time on your Facebook Page after it’s set up. Most people don’t visit your Page either. But you need to have it. It’s kind of like the foundation of all your stuff on Facebook. A Facebook Ads account will automatically be created for you when you boost a post. Just following the steps while boosting a post gets you set up. If you prefer to just set it up before boosting a post go to https://www.facebook.com/business. Actually you can create a Page at this link too. The process of creating an Ads account is very short and simple. It involves typing in your ads account name, some basic business information, and your credit card. The Facebook Ads account is made up of several pieces including the Ads Manager, business settings, billing, audiences, reporting, analytics, and pixels. There are a few more but these are the main ones. The Ads Manager will be what you use most of the time. That’s where all your ads are listed and managed. The Facebook Business Manager is a central business hub to help your business maintain control of your Facebook assets and securely manage user access to the right people and right credit lines. More info on Business Manager here. Everyone can use it. But you don’t have to use it. The advantage of using the Business Manager is that you’ll manage your Pages and ad accounts in one place and you’ll never have to worry about mixing business content with your personal content. The Business Manager is almost the same thing as the Ads account. The difference is that the Business manager can hold multiple ads accounts within it. So you can manage multiple ads accounts for multiple businesses within one business manager account. You can also manage multiple pages within one business manager account. As mentioned above, the audiences and pixels are part of the Facebook Ads Account. More things are included too (as mentioned above) but the audiences and pixels are probably the most important things to set up. Here’s how to set up your Facebook Pixel. The pixel is simply code that you copy from your Facebook ads account and paste into your website. This makes a connection between your website and your Facebook ads account. The connection enables Facebook to track who has visited your website for you. Why would you want to do that? So you can show ads to those people while they are on Facebook. They are people who should be more responsive to your ads because they’ve already showed interest by visiting your website. Audiences are groups of people that you can define within your ads account. When running a Facebook ad you can choose which audience or audiences to show your ads to. There are a few different types of audiences. A “Custom Audience” is made up of people who visited your website (the pixel makes this possible), people who viewed your Facebook video, or people who “liked” your Facebook page as well as a few other types and variations. A “Saved Audience” is just an audience you define. For example, everyone who is 21 to 35 years old, female, lives in Florida, and is interested in beach wear. Finally, a “Lookalike Audience” is one that Facebook creates for you based on another audience you provide. Basically you tell Facebook to build an audience with more people who are just like the ones I have here. Probably the most valuable, effective audience most small businesses should use is the custom audience. It’s very efficient and effective to show ads to people who already are familiar with your business or organization. That’s what showing ads to your custom audience provides. A big money saver, and a much more effective advertising campaign. Using Facebook for your business can be very beneficial and very effective. But far too many businesses don’t seem to have time. It may even seem like a waste of time to businesses that have “real” work to do. But isn’t this “real” work if it brings in more customers and sales? I always tell my clients that if you get into a routine it helps. At least get into a routine of posting to Facebook. Post about your business. Events, sales, discounts, helpful tips, useful information, entertainment, or anything that your intended audience will like. If you need to hire out the paid advertising part then do so. I hope you’ve enjoyed this article and hope that you’ll give Facebook a try for your business. And if you’re interested in more, contact me! I’d appreciate your feedback and questions!